Purity of breed can be determined by registration and paperwork. The Pit Bull is the most unregistered pure breed in existence. It also has one of the longest histories of registration of any pure breed. Many purebred Pit Bulls have had their unregistered records kept meticulously within their family for generations, others have fallen out of the process simply due to breeders not following through with registrations and other Pit Bulls have been targeted and excluded from registration by some registries for no other reason than their coat or eye color. Exclusion from registration however does not equal impure. Only Pit Bulls with a lengthy registration history of their family can be registered with full privileges. While it is true that some registries will register a Pit Bull but will not provide full membership privileges to their owners this is not the case here at the American Pit Bull Registry. While we do require your Pit Bull to be purebred to be registered with us and do encourage the submission of added genealogical information when possible, genealogical documentation is not a requirement of registration with the APBR nor does lack of such negatively affect the benefits and services we make available to our members. All instances of neglect prove bad ownership. While neglect is certainly a red flag to potential bad ownership all cases should be reviewed individually as all neglect is not intentional. From natural disasters to unintentional escapes, to loss of jobs there are many reasons why a Pit Bull or any other pet may seem neglected. If neglect is however willful and conducted with ill intent this is abuse and such should be considered a crime and owners should be properly prosecuted. All kennels are puppy mills and are only interested in making a quick dollar. While the puppy mill industry has received and justifiably so much negative attention most people who breed any purebred dog or other animal do so out of love and the desire and pride of sharing this love with others. Those breeders who are Certified Kennels of the American Pit Bull Registry have signed an oath of care for their Pits and that they will act in the breeds best interest and always be honest with their buyers. The Merle is not natural to the purebred Pit Bull. In the beginning of the registration industry and the registration of Pit Bulls color of eyes and coat were not a consideration for registration purposes. 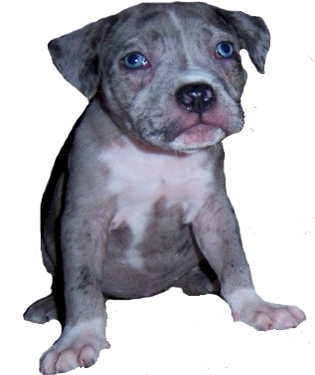 Current trends have many registries now denying membership to those who wish to register their purebred Merle Pit Bulls. The American Pit Bull Registry has not bowed to the pressure of the industry and still and always will accept the Merle Pit Bull for registration. The term Pit comes from the Pit Bull's history with fighting other dogs. While it is true that the term Pit came from placing breeds of certain types into a literal Pit for sport the sport the "Pit" actually earned its name from however was "Ratting" where rats were thrown into a literal "Pit" along with a dog to see how many rats the dog could kill. The term Pit did not come from fighting with other dogs. Interesting enough that during the heyday of ratting that rodents such as rats were a huge risk to the world's population as they spread illness such as Bubonic Plague. Many farmers of this time kept such ratting dogs to keep such rodents at bay. In this way the Pit Bull has a significant role in helping society throughout the breeds known and relative histories. A child or other individual who gets bit is ALWAYS the victim. In many cases bites are provoked. How can we expect any animal to not act out when provocated. Who is it that should be held to a higher standard dog or man? Pit Bulls brains swell as they age that causes them to eventually go crazy. Pit Bulls brains do not swell as they age. Mental illness in dogs of all breeds is however one aspect known to be related to inbreeding. Because of this the APBR works to actively educate breeders on the potential negative impacts of inbreeding. The APBR is the only registry that does such active education. Being famous holds such people to higher standards and that is why they do not own Pit Bulls or mistreat them. This is obviously not true as many famous people own Pit Bulls. Unfortunately many famous Pit Bull owners do not advocate enough on the Pit Bull breeds behalf. Even more unfortunately is when people like Michael Vick own Pits they cause great harm to the breed that takes significant re-education of the public to overcome. Our opinion on Michael Vick is he deserves the treatment he gave to his Pit Bulls and that society should not hold such cretins in esteem or give them a chance to become heroes in the minds of our children. 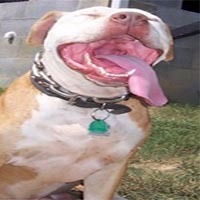 Breed Specific Legislation only effects Pit Bull owners. BEWARE if you own any pet. The Pit Bull is only the foot in the door for such legislation. Once enacted it is then very easy in most cases to amend without effort to include other pets. Breed Specific Legislation has been known to envelope many other breeds and animals including cats, snakes and even frogs and turtles. If you do not own a Pit but do own a pet you are not safe. Spay and neuter services carry no risk. While most spay and neuter is done safely it is not without risk and is not always the right choice for every owner. To learn more about Spay and Neuter check out our health topics section. Pit Bull is not a breed but a type of dog. This is probably one of the most harmful myths about the American Pit Bull Terrier ( APBT ). The Pit Bull has a purebred registration history longer than most other breeds in existence. Either something is or is not a Pit Bull. To call something a Pit Bull type only devalues the true purebred American Pit Bull Terrier ( APBT ), works to create inaccurate and confusing statistics and supports efforts of breed specific legislation ( BSL ). If something is a mix - even a Pit Bull mix - it is still just a mix and not a "Pit Bull type". To single the Pit Bull breed out from every other breed in existence is simply biased and discriminatory and statistics and research that collect data in this way can in no way be considered as valid or factual. Only German Shepherds, Golden Retrievers and the like are used as Service Dogs. While the Pit Bull is often overlooked as a Service Dog option an increasing number of people are learning the value of such a choice and are coming to understand that not only can the breed excel at such work it in many cases can out perform other more common breed choices. There is an over population of Pit Bulls. While in many shelters Pit Bulls are over represented in comparison to other pure breeds this is not due to an over population issue but more due to bad internal adoption policies within many humane organizations and of a lack of understanding about the breed resulting in an unnatural deflatation in demand. This misperception has led to further under supported demand and fewer adoptions. Lack of understanding and a sensationalist media unfairly portrays the breed further deflating value and supports a throwaway mentality by many within the community. 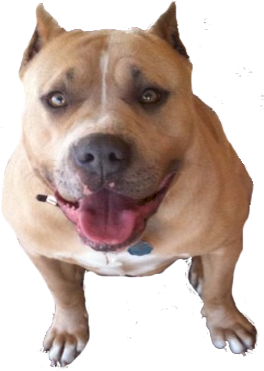 Unfair seizure due to breed specific legislation and lack of new and innovative approaches to placing needy Pits have further supported the false myth that there is an overpopulation within the breed. The American Pit Bull Registry is the only registry in the world to tackle the issue of needy purebred Pits with new and innovative approaches and supports all purebred Pit Bulls in need a good home.